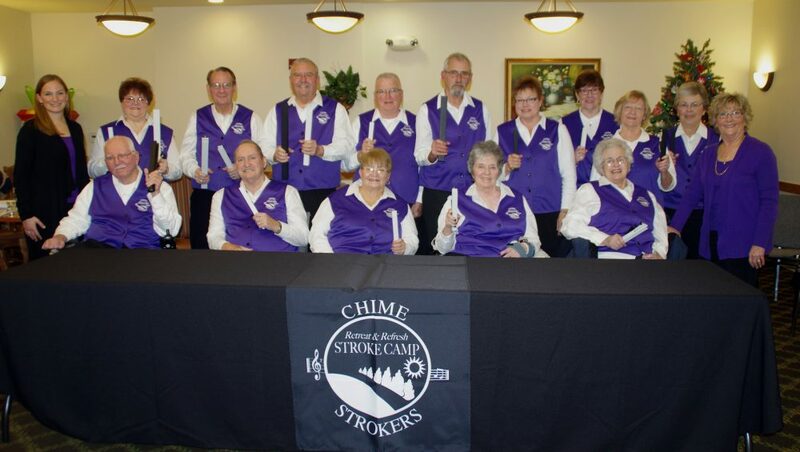 The Chime Strokers hand chime choir is sponsored by Retreat and Refresh Stroke Camp and is open to any stroke survivor. Our purpose is to promote awareness of stroke and the stroke survivor through music performances. We are located in Peoria, Illinois.